The importance of sustainable mobility was clearly demonstrated by the election of Valérie Plante as mayor of Montreal in 2017. Citizens notably chose her because of her vision for the Montreal Metro’s Pink Line. The government of Quebec is in the process of developing its first Sustainable Mobility Policy aimed at ensuring the province’s economic, environmental and social development in the spirit of the 2015 Paris Agreement. The initiative will be in effect until 2030 with the objective of finding innovative solutions to the improving the efficiency, cost, safety and environmental quality of the transportation of passengers and goods throughout Quebec’s cities and regions. To be successful, the government of Quebec will need the indispensable collaboration of municipalities to provide residents with a solution integrating a range of digital services in a multitude of cities. The 21st century will be the century of cities. Cities are in the best position to coordinate the implementation of an initiative of this scale. For improved efficiency, the sustainable mobility offer must move from fragmented systems to a fully integrated management environment. Residents and business people alike want the best transportation option to be recommended to them based on their needs, habits, schedules, the “green index” and external data such as temperature and congestion. This means connecting to multiple systems from different suppliers that are managed by different entities, in different cities. To optimize their offer, cities must propose a single app to their residents and clients that integrates numerous services in a multitude of cities. The average user will most often use social media, one or two transportation apps, maybe a game, a banking app and, sometimes, an app for news or shopping. Outside of that, there is practically no more “available human brain time,” to use the famous expression coined by Patrick Le Lay, former owner of TF1 (main French TV channel). To successfully transition to sustainable mobility, a fluid user experience is a must. For several years now, a number of municipalities in Quebec have chosen to digitize some of the services provided to residents. The goal of this initiative is to tackle demographic and commercial challenges and to reduce the impact on access to resources, transportation, waste management and energy management. Many of these cities have developed partnership models with the private sector, based on the sharing of expertise, risks and benefits. 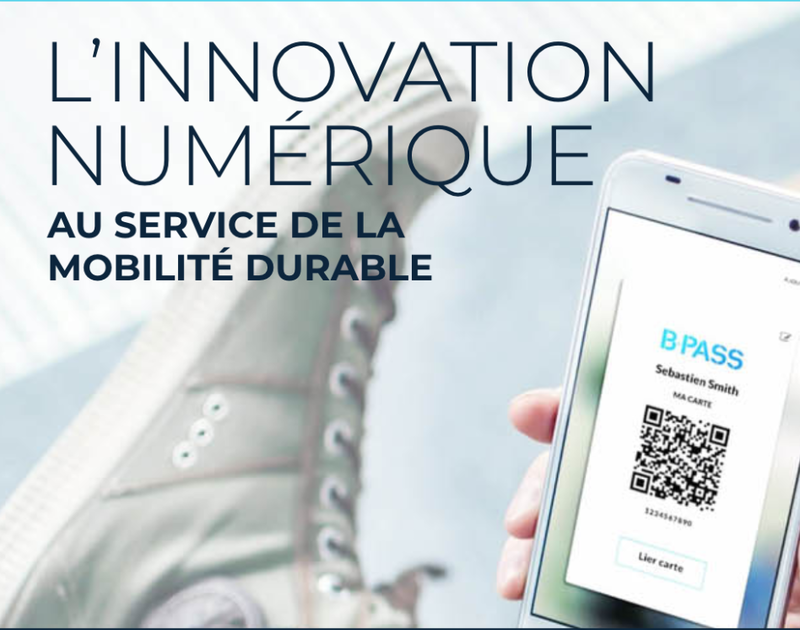 Since 2016, a multi-service/multi-city application has been successfully deployed in 13 cities in Quebec using the “Smart City As A Service” platform by B-CITI Solutions, a growing tech company that currently employs 35 people, in addition to working closely with universities. This multi-city collaboration gave rise to a transactional platform for the direct management of different public services via a mobile app, including subscriptions and registrations, permit applications, invoice payments, information concerning waste collection, resident consultations, surveys, and more. One of the primary motives behind this model is to provide tools adapted to cities’ needs at a reasonable price. In the past few years, we have seen the rise of numerous innovations in the alternative transportation offer, including Bixi, Communauto, Uber, Téo and Turo, just to name a few. Their competitive advantages lie in the deployment of smartphone apps that ensure fast, economical and practical service. The technology leverages geo-positioning and allows users to place orders and pay online. However, despite the increased offer, the transportation of people often remains a disjointed experience that lacks flow. To successfully transition to sustainable mobility, a fluid user experience is a must. This is why it all comes down to the user’s needs. According to B-CITI’s founders, a mobile app must be useful to residents if it is to become the societal norm. The application must help residents make the best decisions and make their daily lives easier without having to deal with the numerous parties and organizations involved. Sustainable mobility will only be possible if we put users at the heart of the solution. Bill 122: How can digital be beneficial? Digital platform: an essential for citizen dialogue! © B-CITI Solutions. All rights reserved 2019.